Mass transit systems, by nature, are open to everyone. Multiple entrances and exits designed to move large quantities of riders, oftentimes in closed quarters, make metro stations particularly vulnerable. “It is important to understand the operational complexities of the environment when considering the security and safety of passengers and operations,” said Skip Dunnett, Threat, Vulnerability and Risk Consultant at Digital Barriers. A security system can only be reliable if it is comprehensive in design, with various inputs and perspectives from all stakeholders. “Multiple parties, including transit authorities, local municipalities and emergency responders, are typically involved throughout the planning and design process for metropolitan subways, making it crucial for a security integrator to communicate closely with each party,” said Jeremy Brecher, VP of Technology Services, Diebold Security. “A better and more productive approach is to include safety professionals such as health and safety representatives, public safety officers and fire control officers from the onset. While safety systems are not generally designed to provide physical protection, they can offer aspects of security such as threat identification and scene change awareness,” Dunnett added. Subways can be harsh for security systems, in terms of high/low temperatures, heat, constant vibration and dust/debris. Such environmental challenges must be considered throughout all stages of security, life safety and risk mitigation planning and implementation. After identifying the risks, integrators must look to install technologies that have been proven to operate effectively in harsh conditions to prevent costly maintenance or even failure. 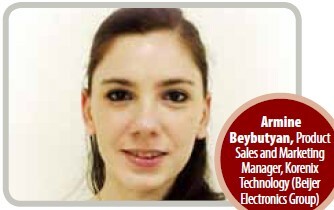 “To ensure reliability, all electrical equipment must have ruggedized design,” said Armine Beybutyan, Product Sales and Marketing Manager, Korenix Technology (A Beijer Electronics Group Company). In transportation, anything adversely affecting passenger flow is regarded as negative. Compared to the aviation sector, there are no constant screenings at metro stations, if there are any, which illustrates the limited resources earmarked for transit authorities. According to USA Today, more than $30 billion has been allocated for aviation security since 9/11, compared to $1.7 billion for subway, passenger rail, cargo rail, bus and ferry security all combined. The best form of defense is thus “attack.” “It is better to identify a number of minor incidents that can be analyzed to give warnings and indications of potential problems than to wait for a major incident to unfold,” Dunnett said. “The proactive tracking of incidents of security interest can allow security staff and managers to detect areas of potential risk and to take preemptive action to reduce vulnerability." To cope with compounded security and safety threats, a wide range of security and safety systems, including fire alarm, public address and evacuation, video surveillance, intrusion detection and access control, must be in place. 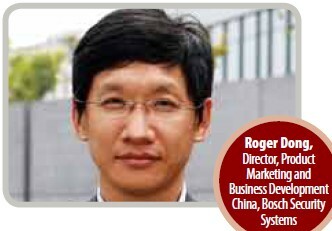 “The implemented technology needs to be flexible enough to address different circumstances,” Dong said.